Bulldog clips UK. Strong metal bulldog clips. Suction cups Direct. This pack of 40mm wide, strong, silver, shiny metal bulldog clips is handy for organising and gripping papers together. Bulldog is a registered trademark of Faire Bros. & Co. Ltd which dates back to 1942 and these clips have the name stamped on the clip face. 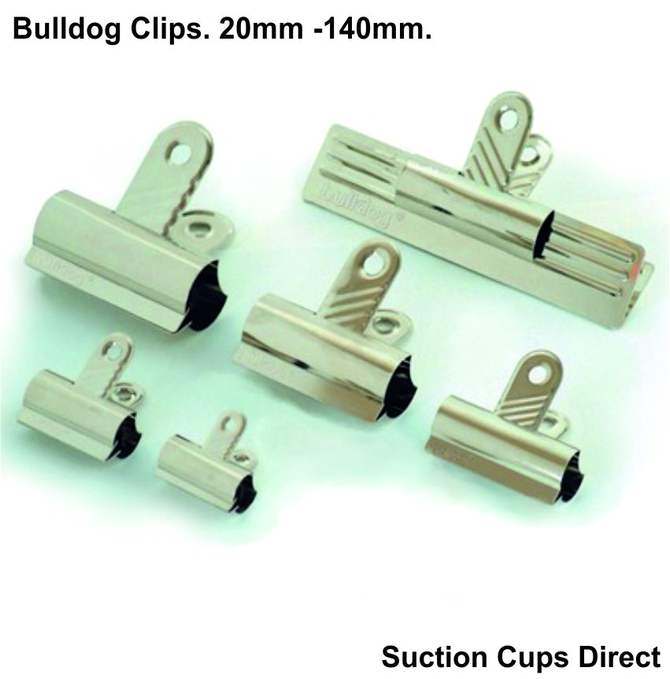 Besides standard bulldog clips, we also stock magnetic bulldog style clips on our website.